You really never know what you’re going to come across on your day to day travels, and you never know what you’re going to learn. 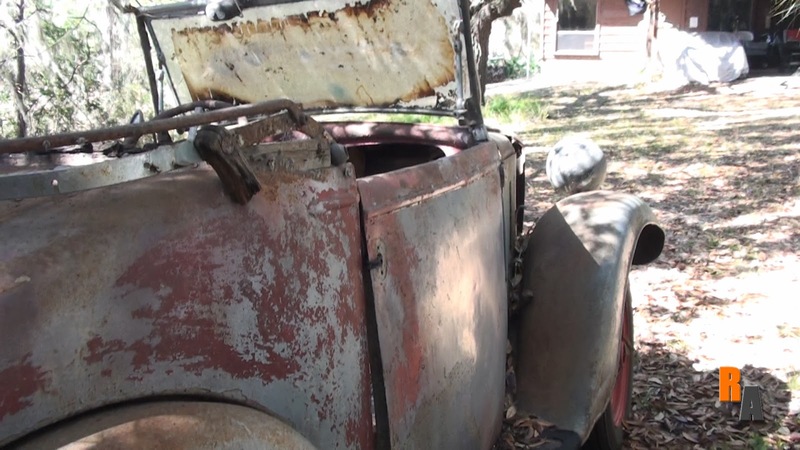 When I first stumbled upon The Gabel Collection, I never thought that tucked away in the back yard, all by itself, I would find a 1934 Austin 7. More specifically, I didn’t think I would find what’s left of one. This Austin 7, also known as the “Baby Austin”, was made in the UK by the Austin Motor Company. Baby it was indeed. 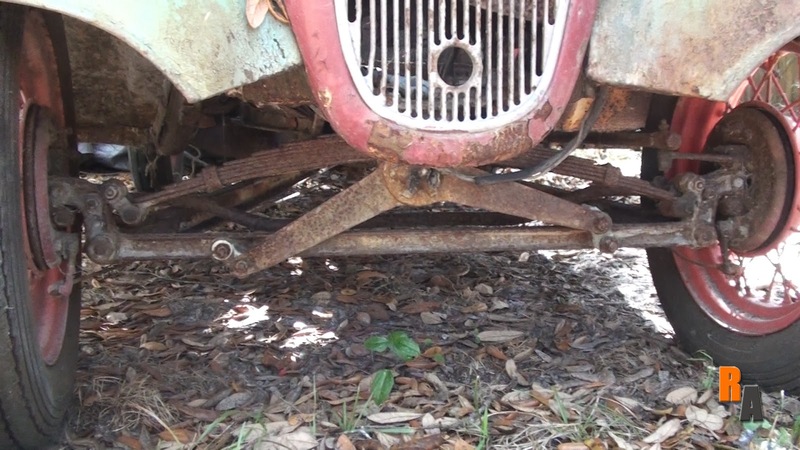 This car only had a wheelbase of six feet and three inches. It was designed to be an economy car, so for that reason, it had a 747cc engine that made a neck-breaking 10.5 horsepower! That was enough to eventually power the car up to its top speed of about 50mph, and allowed it to get an impressive 40 miles per gallon. 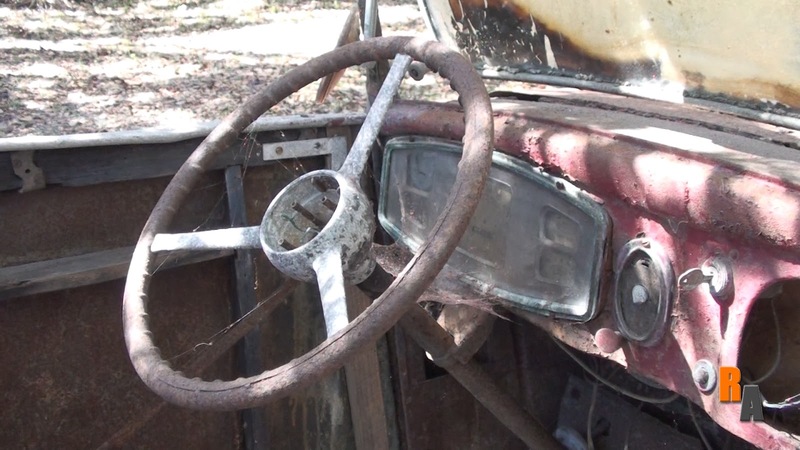 This particular car however has no engine or transmission. 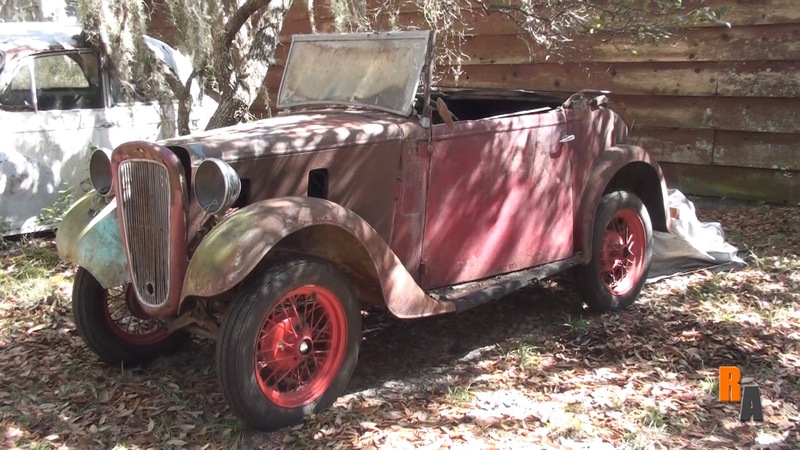 As a matter of fact, it doesn’t have much of anything: no roof, no interior, not much floor paneling left, and it’s missing a bunch of other things that I’m sure an Austin 7 expert could point out easily. 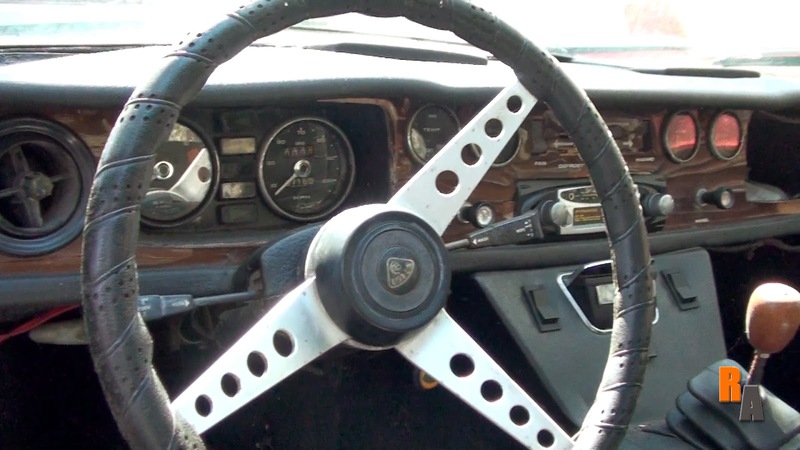 Even through the car doesn’t have an interior, it allows us to see the old school wooden skeleton of the car. 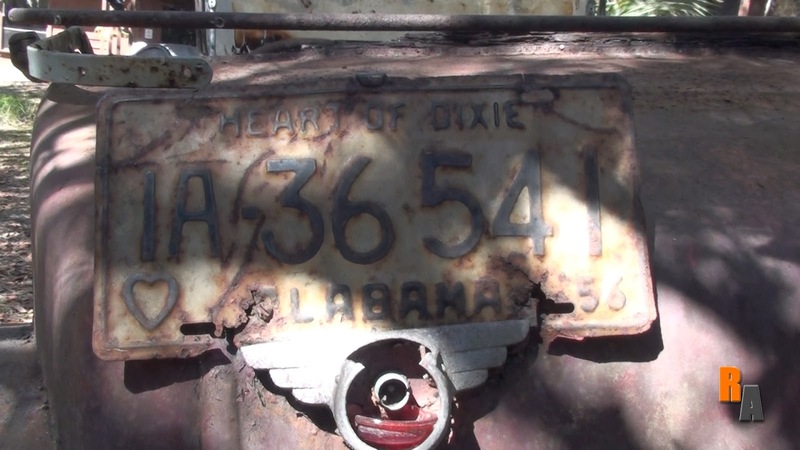 The last license plate is still on the car from 1956, and it has what the owner says is the original key. 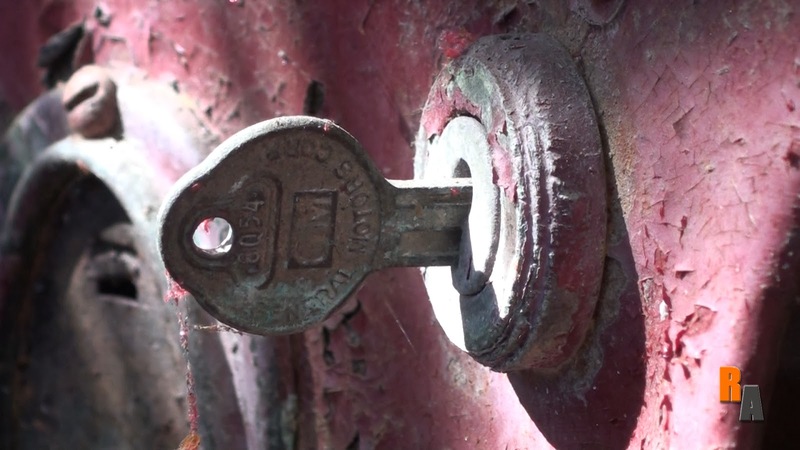 A closer look at the key shows that it is a GM key. Perhaps it is an original copy of the original key. The current owner found this car in shed. Funny how most American Muscle cars are called “barn finds”, but this little British car is small enough to be called a “shed find”. Anyway, the owner of the shed didn’t own the car. The car’s owner left it there, said he would be back, and never came back. The shed owner found out the car owner had died., and the shed owner wanted his shed back. Now, the current owner has the car after purchasing it off the shed owner. Did you follow all that? The current owner had plans to resort the car with a different engine. However, this car and its frame are so small, the only thing he found that could fit under the hood, would be the original engine. 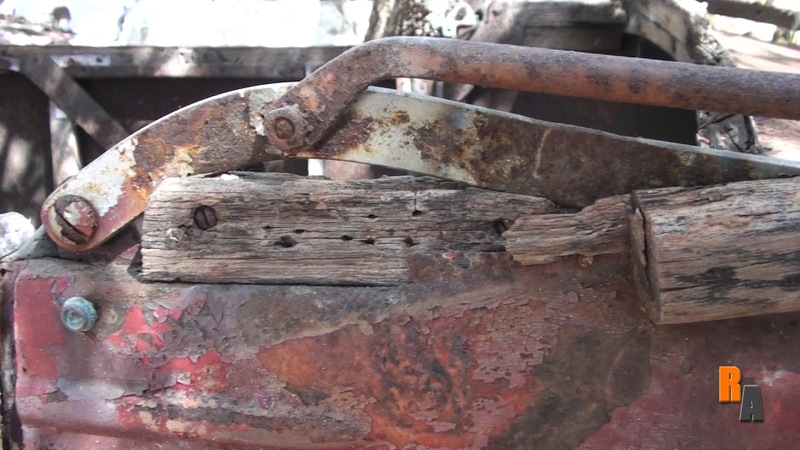 An original engine for the car proved to cost too much to make this restore feasible. For now, this car sits rotting in style as a rusty shell of its former glory. As I have mentioned previously, I love American muscle cars, but when I see something on the side of the road that looks abandoned, I start to like it no matter what it is. 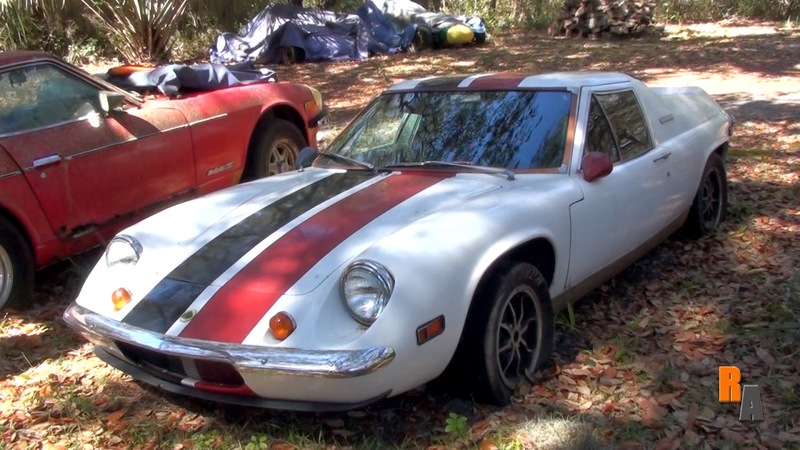 Enter this beauty: a 1972 Lotus Europa, a shadow of its former glory. That line sounded really good, but this car isn’t as bad as others that I’ve seen. 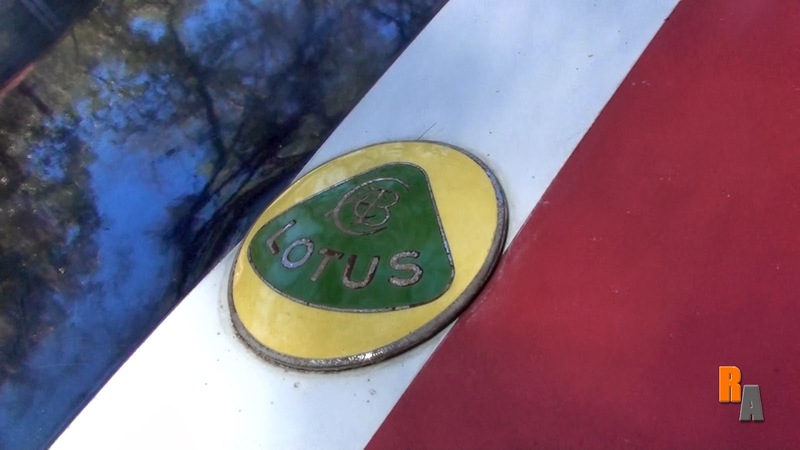 The paint on this Lotus from The Gabel Collection is rough and bubbling in some sections, it’s dirty, it has a flakey dash, and its tires are low on air. Aside from that, this car is in pretty good shape. Mechanically, I have been told that this car will run just fine. This car has two gas tanks, and two gas caps which point up. The car did have a car cover over it, but since it has been sitting for a while, water (rain) may have found its way into the tanks due to the placement of the caps, and the car sitting. The owner told me it would be a fifteen to twenty minute process to get the water out of the tanks, but I decided to skip that step to save time. This Europa happens to be a “Europa Special” which features a “Big Valve” version of the 1558cc engine that pumps out 126 horsepower over the standard model’s 105. This may not seem like a lot, but this car weighs only about 1,600 pounds! That’s nothing! Numbers like that meant in its day, this car was able to go from zero to sixty in about 6.6 seconds. For a car in 1972, that’s a good number. Once inside, I realized that the interior was in really good shape. It was just dirty more then anything. The dashboard was probably the worst part. It was very flakey. Aside from that, a little bit of polish and vacuum would have restored most of it. Getting out wasn’t too bad. Just a little wiggling and some lost balance, and I was back on my feet. I really like this car. I’ve seen pictures of this model car, and I thought the back end of them was pretty ugly. In person, it looks pretty nice. While I have never really been a big fan of Lotus, this 1972 Europa catches my interest. There were many cars in The Gabel Collection, but this one seems to be one of my favorites. Maybe one day when the tanks are water free, and the tires are all aired up, the owner will give me a call, and I’ll be able to go for a ride. Driving around Central Florida, I frequently see cars from all generations on the road in showroom conditions, and beater conditions. I’ve seen pickups from the 50s, cars from the 20s, and of course many muscle cars. What interests me the most however are the ones on the sides of the roads, the ones in the woods, and the ones in backyards. The cars that may run, and the cars that ran once upon a time. This is where I run into the man known as Mr. Gabel. He has a collection of import cars that anyone into the automotive world can appreciate. 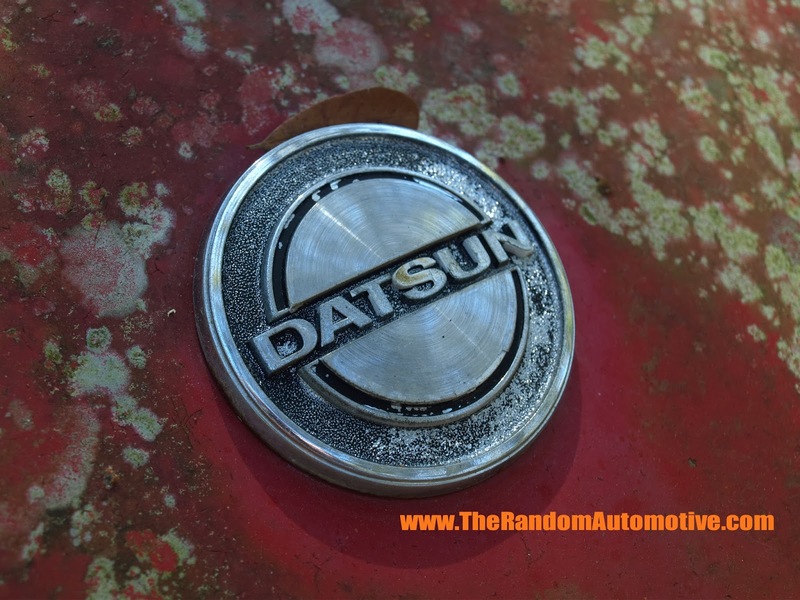 One of his cars in “The Gabel Collection” is this 1974 Datsun 260z. At first sight, this car is pretty run down. At a closer look, it is really run down. When I first saw this car from the road, my first thought was, “Wow! Look at that Fairlady! Daniel would be happy I found this.” Of course, “Daniel” refers to the one and only Daniel O’Grady from the YouTube channel Wasabi Cars. I had been watching his channel since the start, so the shape of this car jumped out at me when I first saw it from the road. Mr. Gabel was able to shed some interesting light on this car to me. 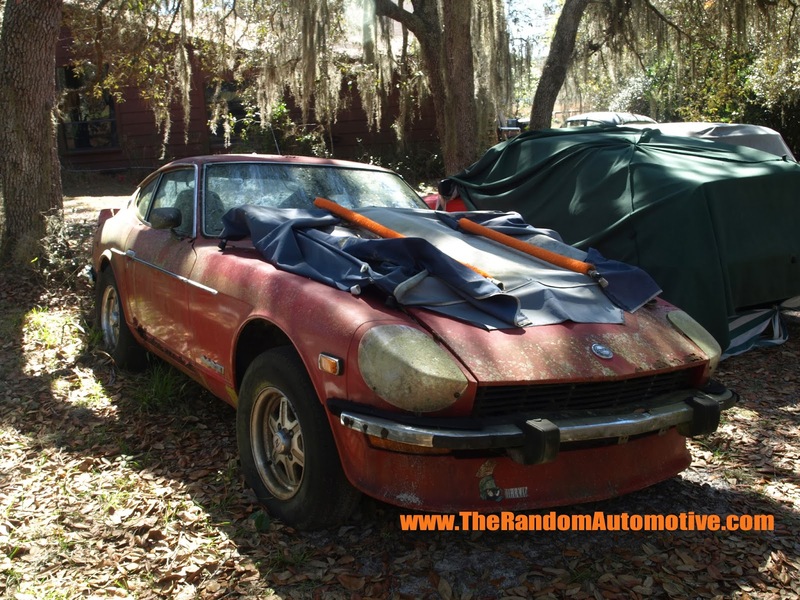 The 1974 260z was the only model year for this car in the United States. It was the only year for the 260z. This car came with a 2.6L inline six cylinder under the hood. 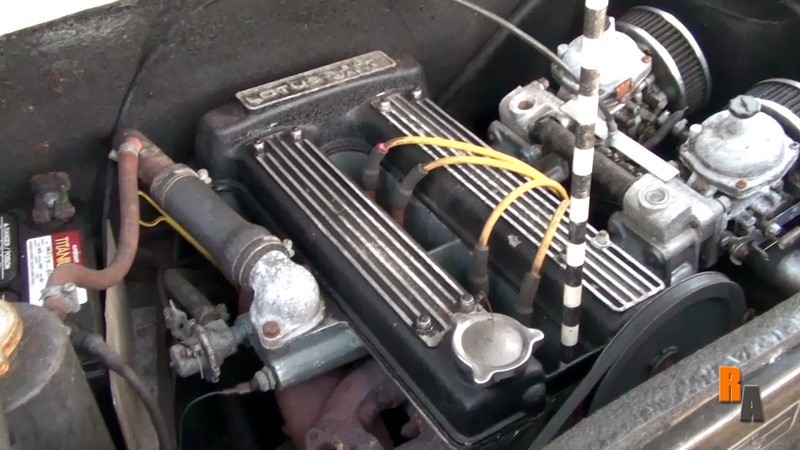 Mr. Gabel was not please with the original carburetors that only allowed the car to get its stock 162 horse power, so, he replaced them with Webers. He told me that this car ran up until he took the carburetors out. He was originally going to junk the car, but they offered him less money for the whole car then the Webers were worth by themselves. Needless to say, he decided to keep the car. Mr. Gabel wouldn’t mind selling it though, so offers are welcome, and yes, the Webers will come with it. As for the car itself, it is rough, but if you are a fan of Wasabi Cars, you have seen worse. A little bit of love, and she can be running and looking just right once again. I never really had an appreciation of Japanese cars until recently. I have always been an American muscle car lover. While I still love them the most, I am starting to have an appreciation for anything that’s a classic. I do kind of like this car, but no, I will not start liking ’95 Honda Civics… Ever.